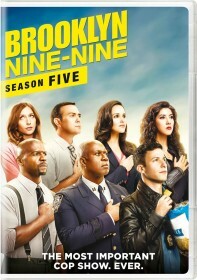 FOX has issued the press release for the April 22 episode of Brooklyn Nine-Nine, "Gray Star Mutual". Jason Mantzoukas reprises his role as Adrian Pimento in the episode. When a fire destroys Charles' food truck, Pimento (guest star Jason Mantzoukas) unexpectedly shows up to the scene as the insurance agent. Meanwhile, Rosa helps Amy to see that it's okay to get excited about picking her wedding dress, and Gina and Terry coach Holt in the art of social media in the all-new "Gray Star Mutual" episode of BROOKLYN NINE-NINE airing Sunday, April 22 (8:30-9:00 PM ET/PT) on FOX.